ماژول سوپر لاگین پرو یکی از بهترین و حرفه ای ترین ماژول های ورود و ثبت نام جوملا می باشد.این ماژول بصورت فول رسپانسیو بوده و در 4 حالت مختلف نمایش دارد.همچنین بعد از ورود دارای کاستومایز منو می باشید. Login modules in Joomla are often overlooked in the design and development process, Super Login Pro makes giant leaps in improving form, User Interface and functionality in this critical component. Supports 2 factor Authentication in Joomla 3.2 .Hide Register , forgot password or forgot username buttons optionally. Choose from 7 existing layout types and styles. There are popup styles, dropdown styles and vertical and horizontal styles so you have one amazing module to use in different applications. 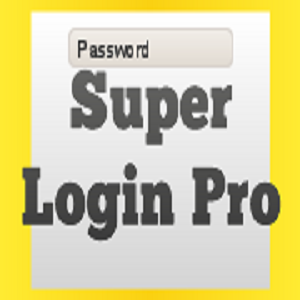 Besides complimenting WARP 7 based themes perfectly, the Super Login Pro, can be applied to any Joomla based website. The mobile layout adds an an amazing responsive offcanvas layout for display on Mobile devices, this allows you to easily offer Mobile device visitors a login option. Logged in users, get their Names and Gravatars, K2, EasySocial or JomSocial Avatars pulled in automatically or choose to not show Avatars. Avatars will link to the USer Profile. Message notification badges are shown to logged in Users for JomSocial and EasySocial. 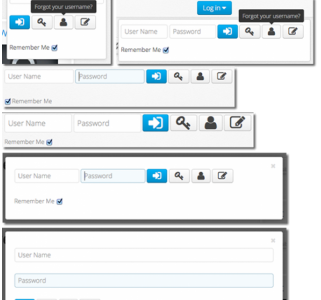 User dropdown menu is visible in logged in view, depending on Registration extension, like JomSocial, EasySocial, Joomla, CB or a custom menu with custom links. The password field will allow to show or hide the password fields values. All the features of Core Joomla login and Registration component, no compromise on security. You will also have the option to show the default Greeting, usually Hi, Username or a random selection of worldwide greetings. You can choose the registration handlers, Joomla, EasySocial, JomSocial, Extended Registration, Mijo Shop, Community Builder, Custom Links or a Sandbox mode, and choose to show Gravatar or JomSocial Avatars. Additionally, you can moderate K2 comments from the frontend.